Despite everything that happened in Paris, we were determined to continue our weekend with positivity. And what makes us happier than food? Right, nothing. So after realising that Paris had turned into somewhat of a ghost town, we went for some comfort food. Burgers, to be more specific. We'd seen PNY (Paris New York.. not Pony as I like to call it) all over Instagram, so had to go try it ourselves. 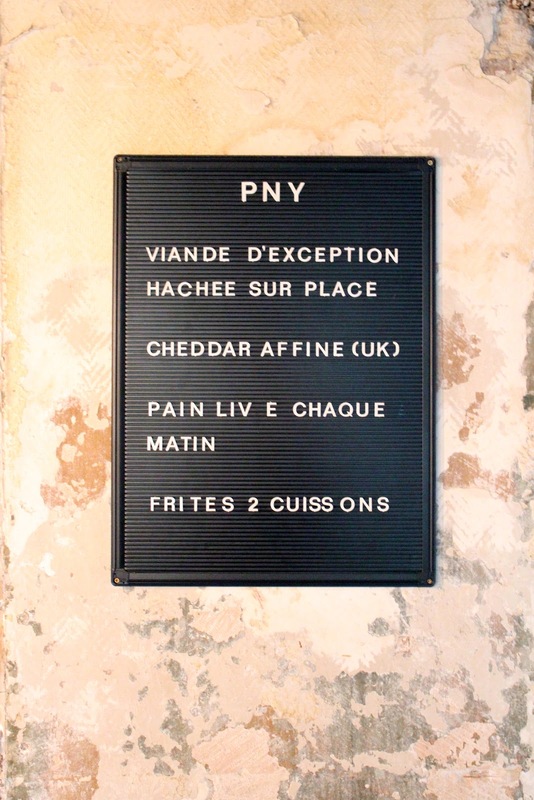 There are three PNY locations in Paris: 1 rue Perrée - 96 rue Oberkampf - 50 rue du Faubourg Saint-Denis. We had lunch at the last one! The restaurant in Le Marais has some pastel colours and looks like the girliest burger place you've ever seen. 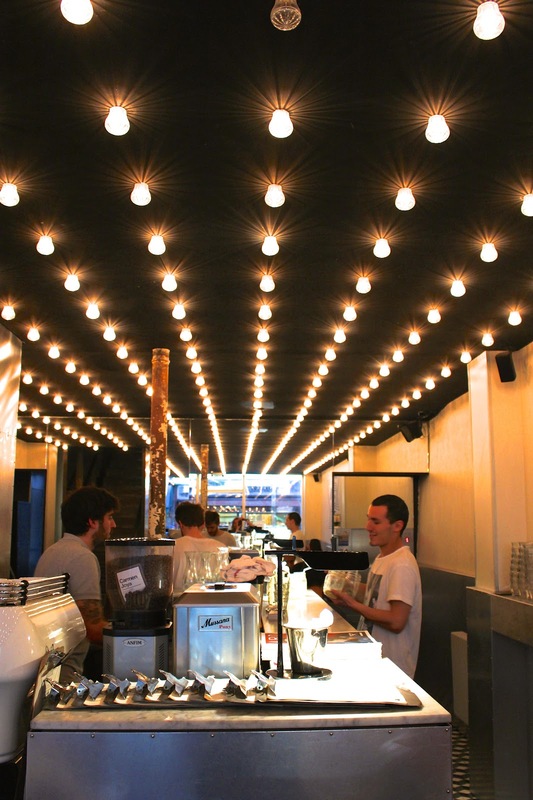 The one we went to looks like a converted cinema with very cool lighting inside and outside the restaurant. It's hard to miss! 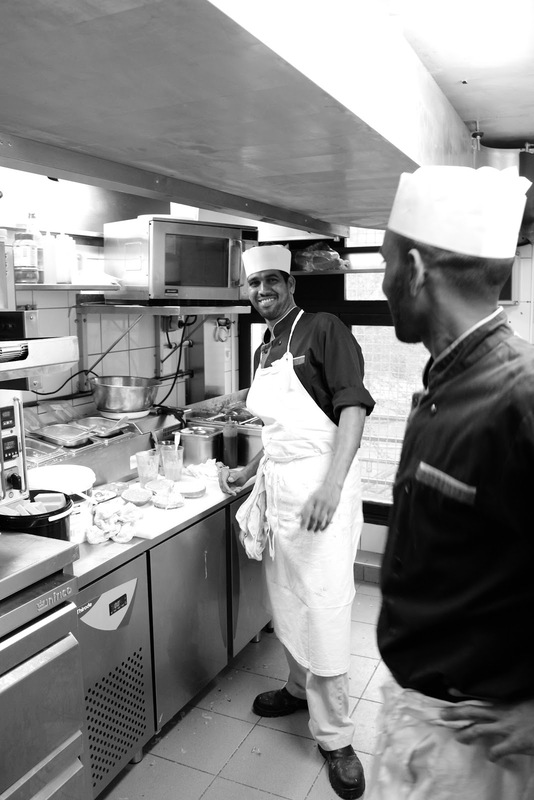 Although lunch service was almost over (until 3pm), we were still welcomed inside by these guys and got a table upstairs. Since we were famished, it took us only a few minutes to decide what we wanted to eat. The menu is short but has everything you could wish for. I ordered the Napalm Sriracha burger while the girls both chose the Morning California burger. French fries on the side of course! If you're going all out you should try the loaded fries, they sound pretty epic. After a short wait, our food arrived. Such a beautiful sight, n'est-ce-pas? The burgers came with ketchup and we also got some (homemade?) mayo which was delicious! My Sriracha burger was truly perfect: the spiciness of Sriracha and jalapeños with a lot of hot molten cheddar and good quality meat in the softest bun. It was so tasty and I was so hungry, I practically inhaled this burger (I don't like this expression but I can't describe it in any other way!). The fries were thin and double-cooked but I would have wanted them to be a tiny bit crispier. I'd also prefer the ketchup in a bottle on the side rather than in this soggy paper cup but that's just a minor detail. Apart from that, everything was perfect and I must say this is definitely one of the better burgers I've eaten. 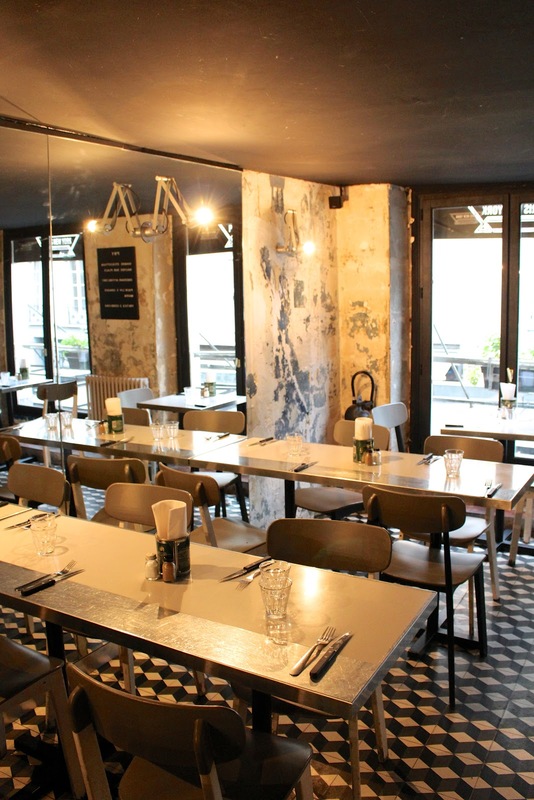 If you're in Paris and feel like having a good burger, in a cool restaurant with super friendly staff, PNY is the place to go to. The quality of the ingredients is high and you'll make a highly-liked burger pic for your insta, so you definitely get your money's worth. 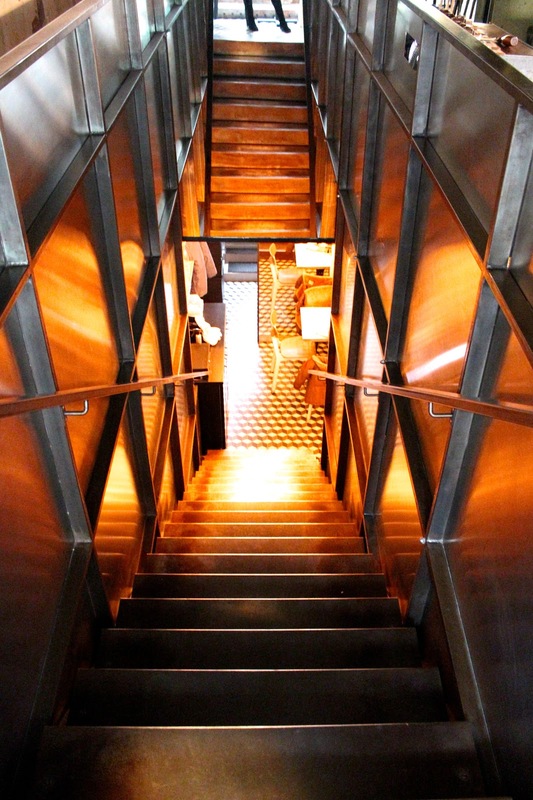 The other two locations also have awesome - and different - interiors. 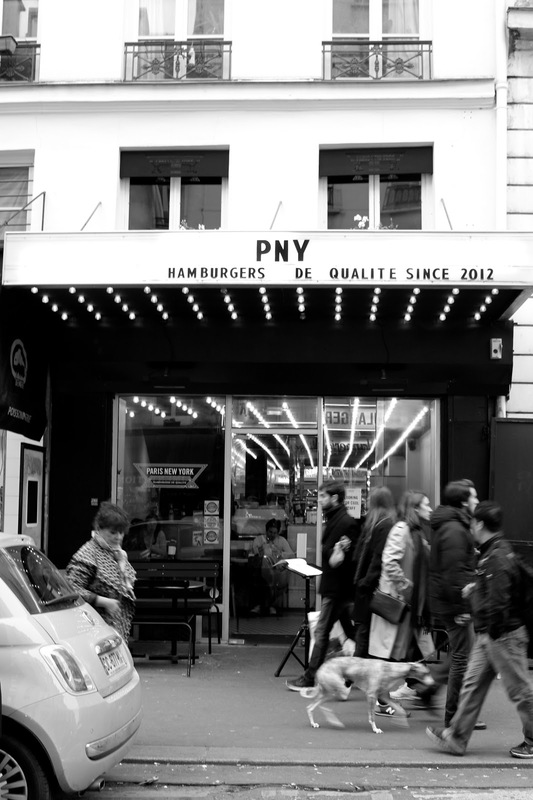 PNY has brought the New York burger scene to Paris, but kept the Parisian flair and high quality ingredients.